Now that she's arrived at her ultimate address, will Mary Lynn's longed-for view of the harbor satisfy the craving of her heart? First off let me say I loved this book. Ms. Hart has a way of writing that makes each character easy to relate to. Even when their actions are not always what you think they should be and their desires are opposite to each other I found myself pulling for them. 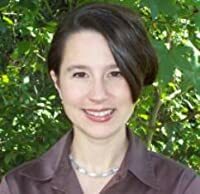 Ms. Hart gives you a view of what radical faith would look like today and how a society based on social status and appearance would respond to it, while also asking readers to consider where faith fits into their life. It's an absorbing story of a family whose desire to fit in almost costs them everything they value most. The story will have you inspecting your motivations for what you do and what you want in life. What do you pray for and what happens when your prayers are answered in ways you are not expecting? The story was developed nicely and the imagery is strong. The characters are complex and believable. Their emotions and actions are authentic. The relationships and dialogue were genuine. 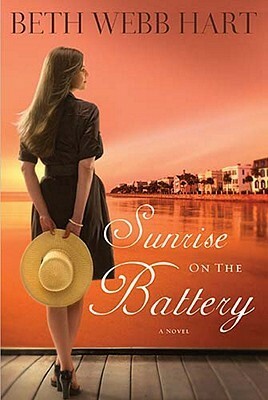 Sunrise on the Battery is a novel with strong characters and a well-written plot. This is a great read about a realistic family. I would highly recommend it! Beth Webb Hart, a South Carolina native, holds a B.A. in English Literature from Hollins College and an M.F.A. in Creative Writing from Sarah Lawrence College. Her first novel, Grace at Low Tide, was one of three finalists for the 2006 Christy Awards in the general/contemporary/fiction category. Her second novel, Adelaide Piper, was selected for Books-a-Million's book club and for their national book of the month for December, 2006. Both titles were included in the "Top 10 Christian Novels of 2006" by Booklist, the American Library Association's review journal. Hart's third novel, The Wedding Machine, became an ECPA best-seller in July of 2008. Beth Webb lectures on a variety of topics and has taught creative writing on the college and high school level where she received two national awards from Scholastic, Inc. She lives with her husband, composer Edward Hart, and their children in Charleston, South Carolina where she teaches English and Creative Writing at Ashley Hall.